Yes it seems to be that easy! No more wondering, no more fretting, Just look at the picture and the first three words you see describe what you want most in life. We’ve done this before but I am sure as we change over time, the words we will see will also change. Quite fitting in my eyes – last year for my last year as well as this year for my current mindset. I try to experience all that’s possible right now. I think I have never lived more than I do at the moment! What are your words? I am still not running again. Ever since I petered out of signing for another half-marathon this spring I am a bit relieved. But parallelly a tiny little nudge rises that actually ushers me to go out for a run. Isn’t that idiotic? I gave up my running plans and at the very same moment I fancy a run? So as I am always up for a good challenge I try to fit in a mud run this year. I consider a spartan race or a tough mudder. Depends on the locations and kind of obstacles. And who I can get on bord. I definitely don’t do this on my own. After all I’ll need someone to push me over this horrible wall! Have I mentioned our plans to go back to the US this summer? We both absolutely enjoyed our trip last year (this is still a strange thing to say – last year) and though it was a lot to take in it refreshed us both so much. The year prior to our trip had been the most stressful in my life. It was physically as well as psychologically demanding and getting away for some time was the most healthy thing we could do. Next to releasing stress and tension it worked like magic for our relationship. We finally had time together and could have fun again. Something that is not always easy when the time you share with each other consists of grocery shopping, cooking, laundry and dinner at 10 pm. We are both positive to get some time off in summer and luckily with me being still employed we can also afford going to another continent. And as there is no time as the present we’ll go again as soon as possible. Who knows if we could still afford it time-wise and money-wise next year? At the moment we plan to go 3-4 weeks and want to hit the north-west of the country. 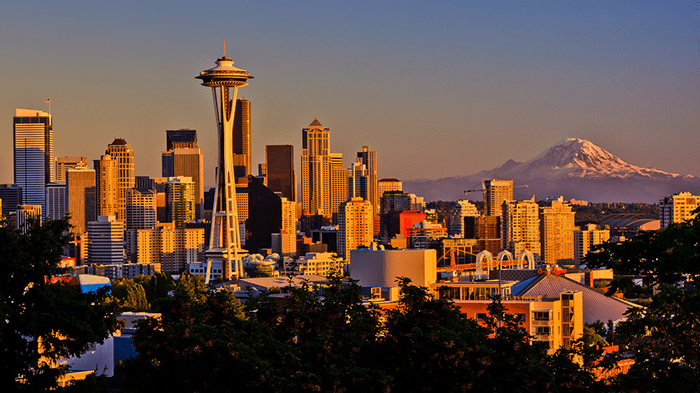 I always wanted to explore Washington State and I’d love to visit Seattle. Stefan wants to go to Yellowstone National Park and he’s very determined to go back to Vegas for a few days. And I would love to visit Bryce Canyon and again Zion National Park as we only got to be there for a few hours. So now with all this travelling in my mind I’ll have a hard time to concentrate on my work today. With a healthy dose of panic after my PhD colloquium yesterday (at least healthy for my dissertation) I am determined to a huge chunk of data analysis today. Have a great Thursday, lovelies! My words were: love, health, and intelligence. Not half bad! And Washington state is absolutely gorgeous. I’ve never made it out to Yellowstone, but it’s on my travel bucket list. I hear it’s amazing! I love your words! And I find them very fitting as well! I have never seen that word game before! I got love, popularity and intelligence! popularity seems like an odd one! Haha! Your greencard is in my prayers 😉 haha! I got Love, Popularity and Intelligence on that word thing. I am totally excited!!!!! YAY! Love and Intelligence seems to be a thing. You’re the third 😉 Great combination!